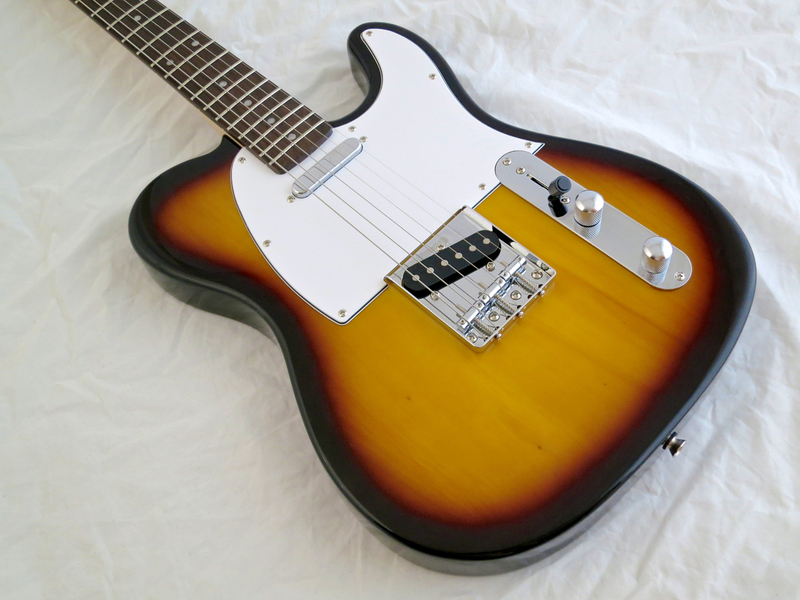 Tokai Guitars has built its reputation on very well-crafted and vintage-correct copies of classic models. 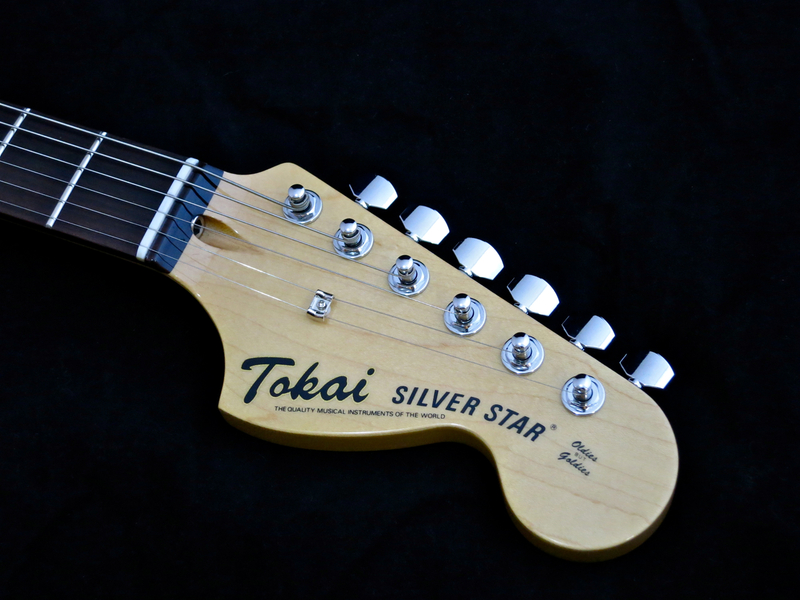 The original Japanese Tokai instruments from the Seventies and Eighties gave most US manufacturers a good run for their money, and in some respects Tokai’s – ahem – ”versions” were even better than some of the originals from that era. 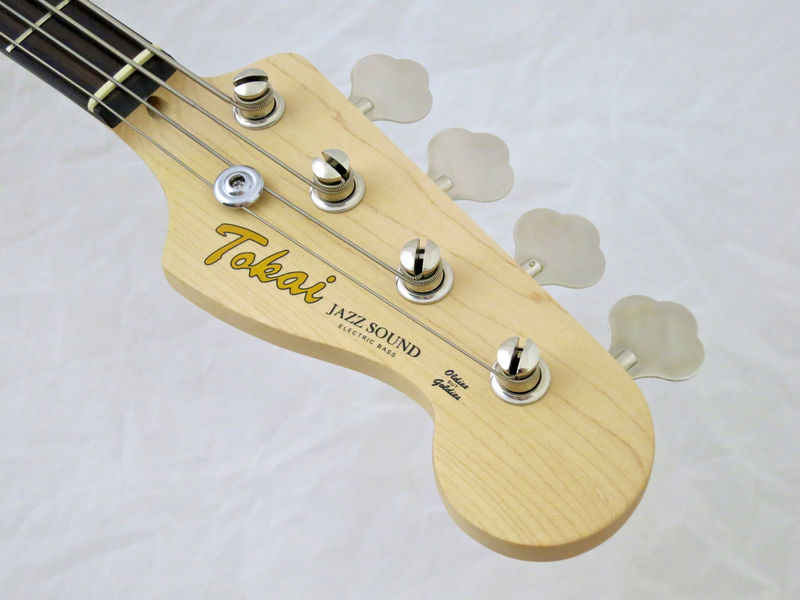 Tokai’s top-of-the-line instruments are still made in Japan. 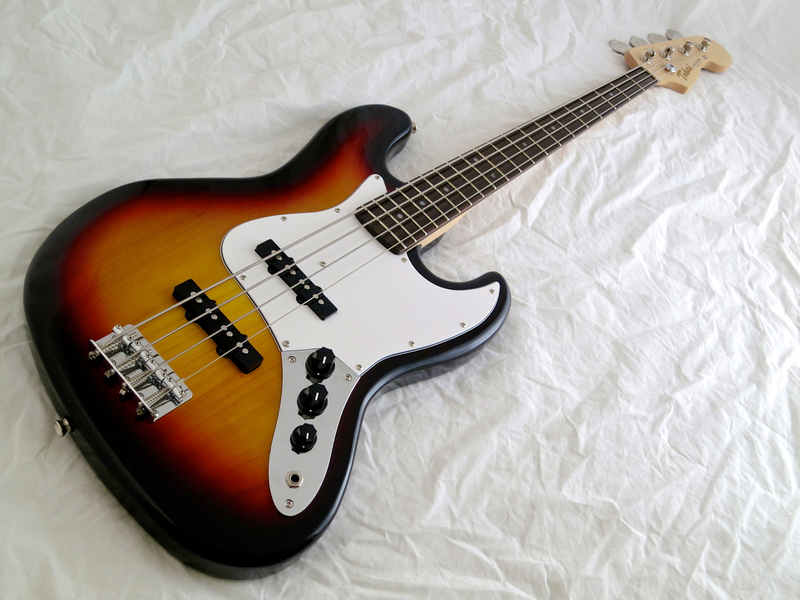 The company’s Chinese output, though, makes it possible to own a genuine Tokai guitar (or bass), even on a tighter budget. The idea behind the brand-new Tokai Classic series is to offer very reasonably priced guitars and basses, which combine a classic look with a few modern tweaks for easier playability. 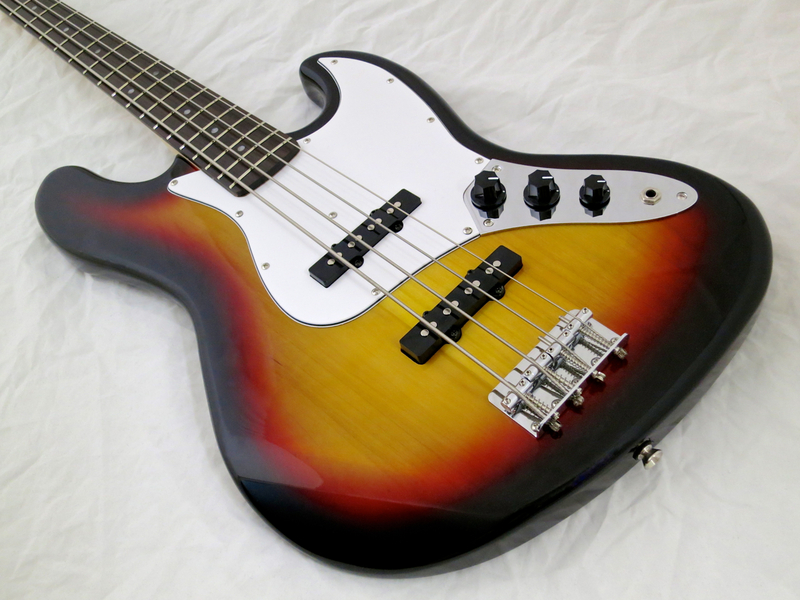 …as well as a Classic JB bass (299 €) in a fetching three-tone sunburst. 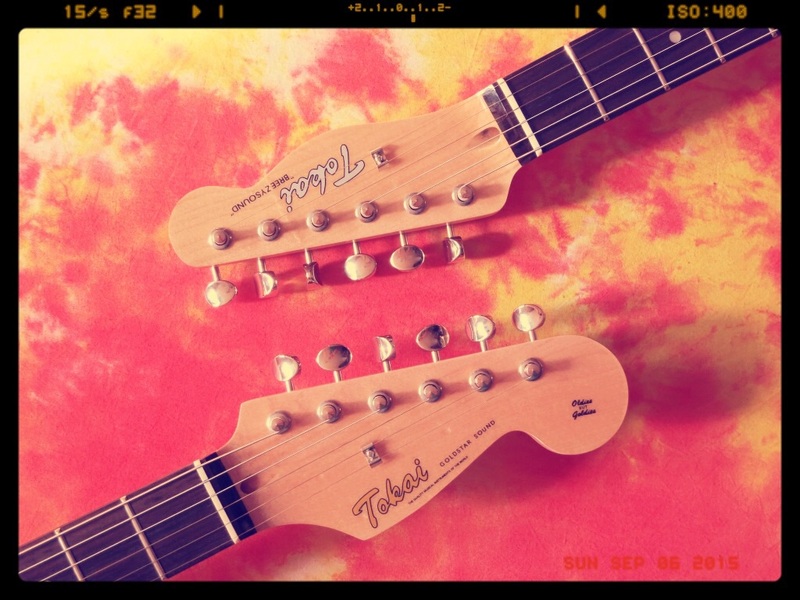 Tokai’s Classic series features bolt-on maple necks. 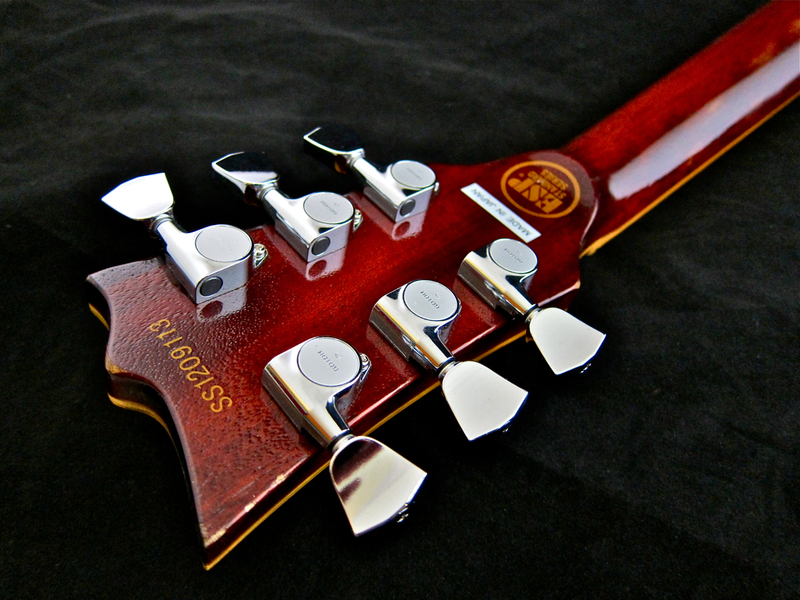 On the TE and ST models the face of the headstock sports a gloss finish. 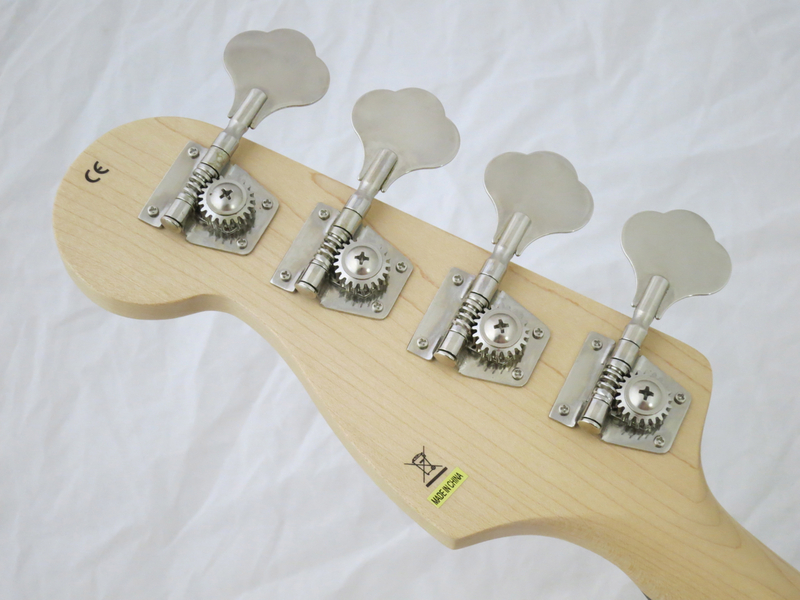 The JB bass’ headstock front has received the same thin satin finish as the neck. All Classic instruments offer easy access to the truss rod at the headstock, so you won’t have to take off the neck to make adjustments. 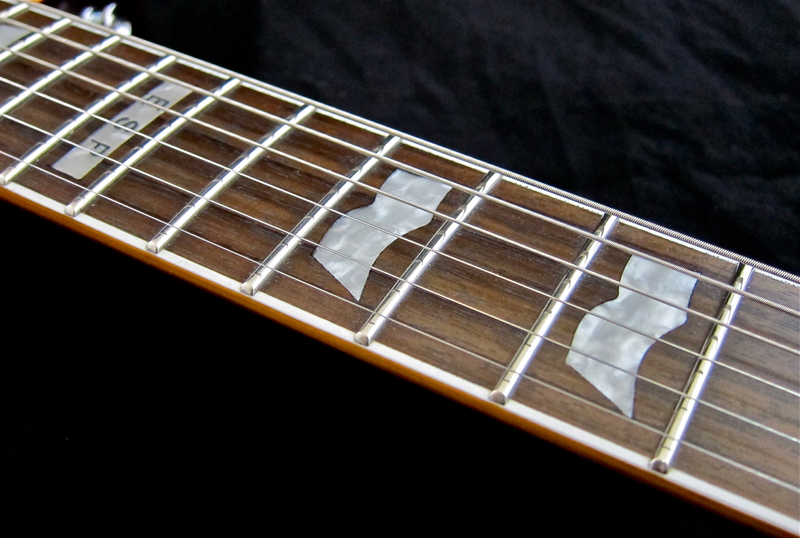 There’s a set of very decent Kluson-copies installed on the guitars. The Classic JB comes with a set of Schaller-copies, which are less massive than vintage-style Klusons. The Classic TE and ST come with a flatter-than-vintage fingerboard radius and chunkier frets, which makes the playing feel much more modern and bend-friendly. 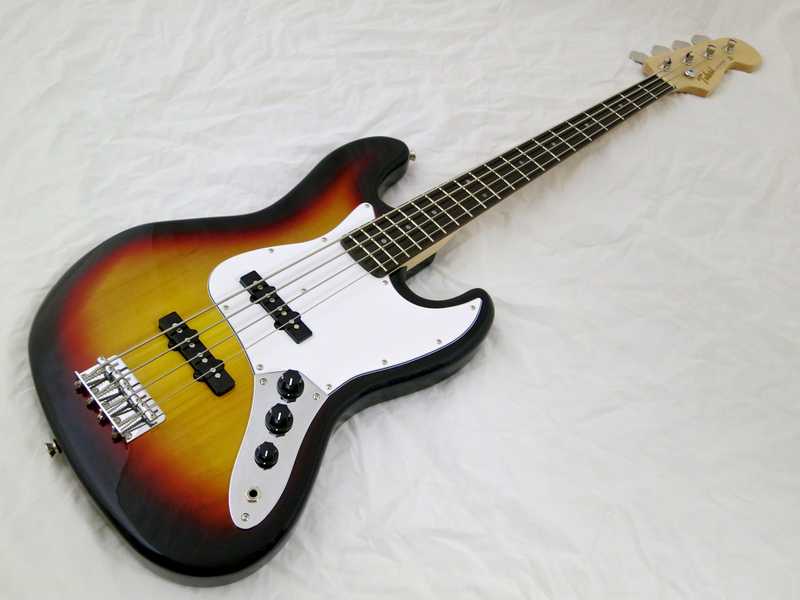 The same goes for the Tokai Classic bass. All Classic series bodies are made of basswood, a proven tonewood with a sound similar to alder. The black plastic cushion beneath the neck plate protects the finish. 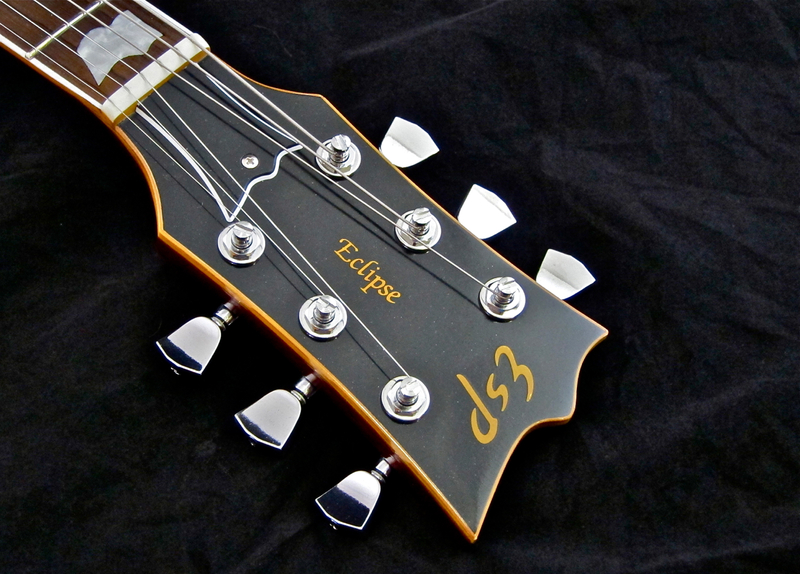 The Classic TE goes for the late-Sixties variety sporting three saddles with pre-set grooves for the strings. The TE came strung the regular way, though the body, with the strings’ ball-ends anchored in ferrules. 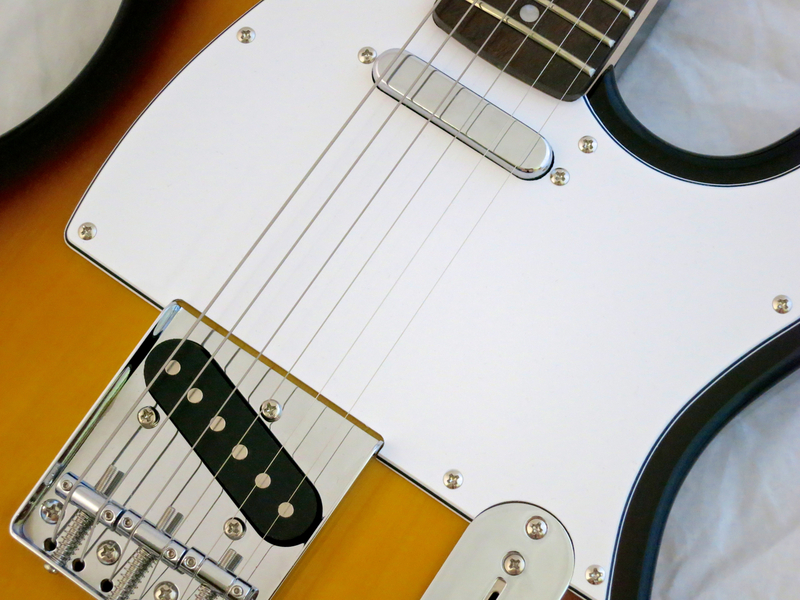 This setup is favoured by most Tele players. It’s possible to string this guitar through the back of the bridge, too. This was a rare feature on original Fender Telecasters in 1958/59 that noticeably alters the feel and sound of the guitar. 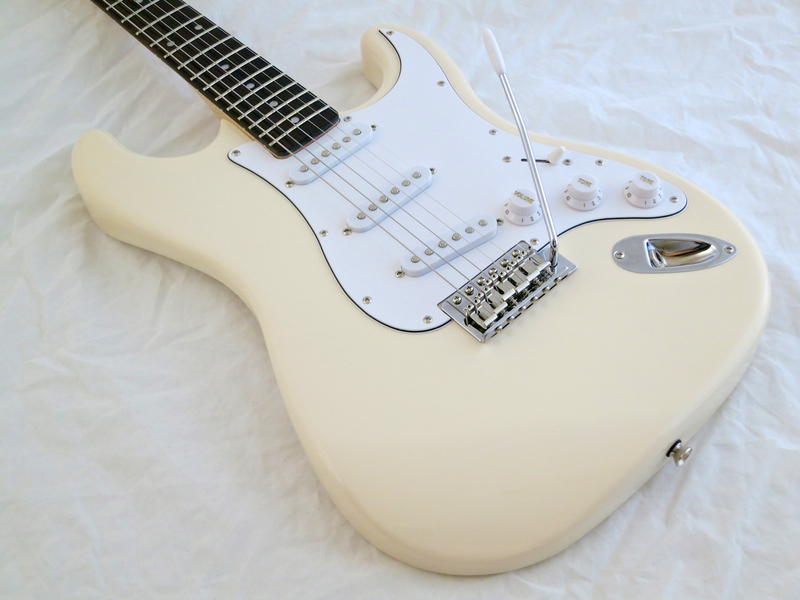 At first glance, the bridge on Tokai’s Classic ST looks like a dead-on copy of a vintage Strat vibrato. The vibrato block, though, isn’t as chunky as on the original. It’s about the same size as the block on a Floyd Rose vibrato. 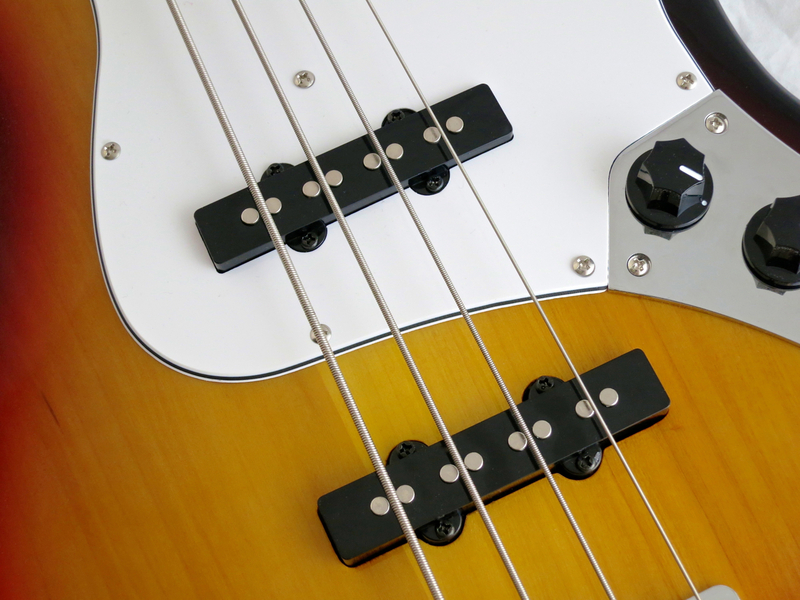 The Classic JB sports a nice copy of a 1970s Fender bass bridge. 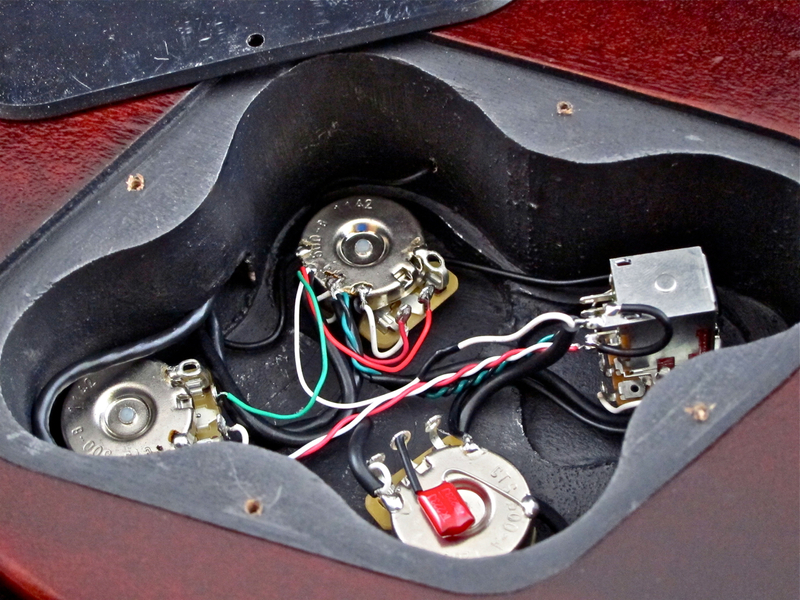 Most self-appointed ”vintage-gurus” will tell you to steer clear at all times of ceramic Fender-style singlecoils. 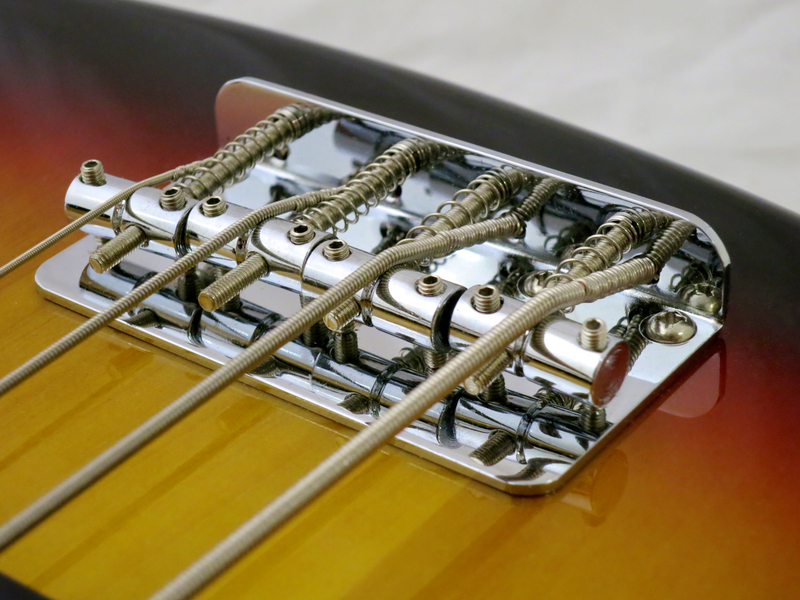 Traditionally, a Fender-type singlecoil is constructed from six small, cylindrical magnets, which are tapped into vulcanised fibre plates. Around this magnet core a coil of thin copper wire is wound to complete the pickup. 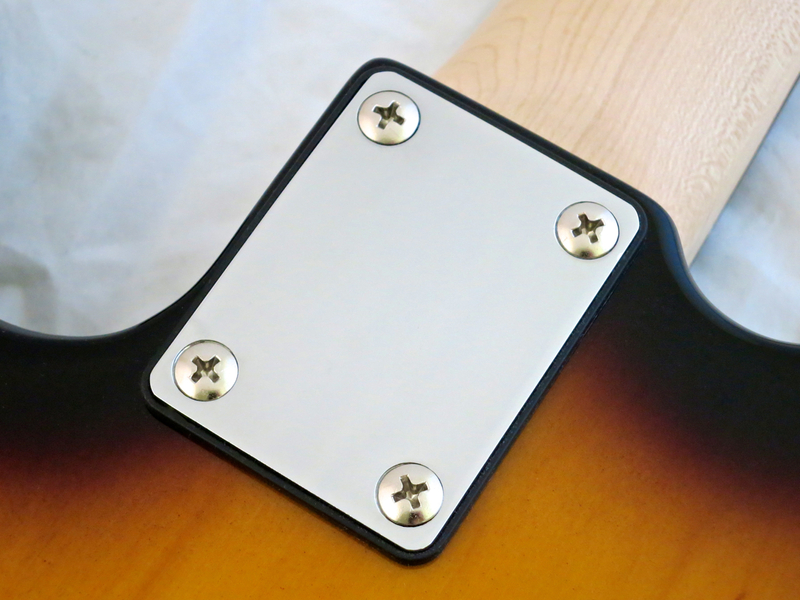 In traditional pickups the polepieces you see are actually the top ends of the alnico magnets. 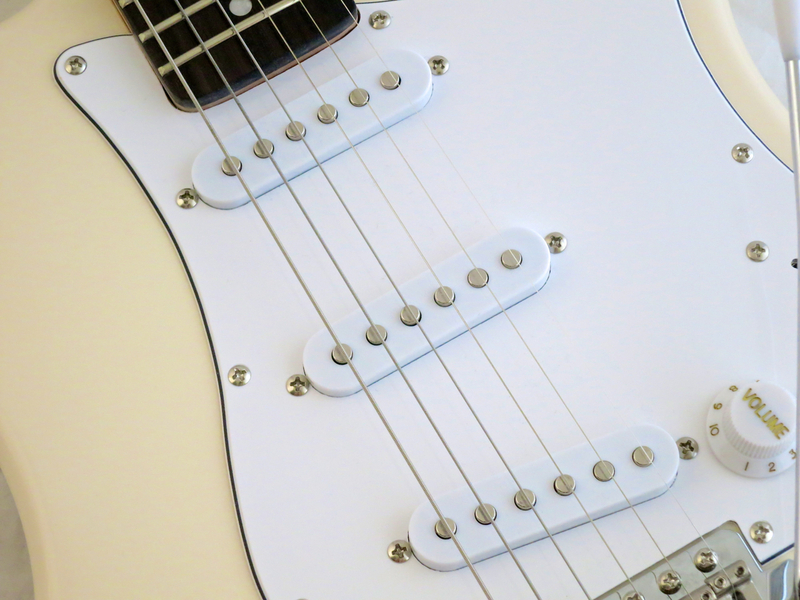 Tokai’s Classic series uses ceramic pickups, which are made a little differently. 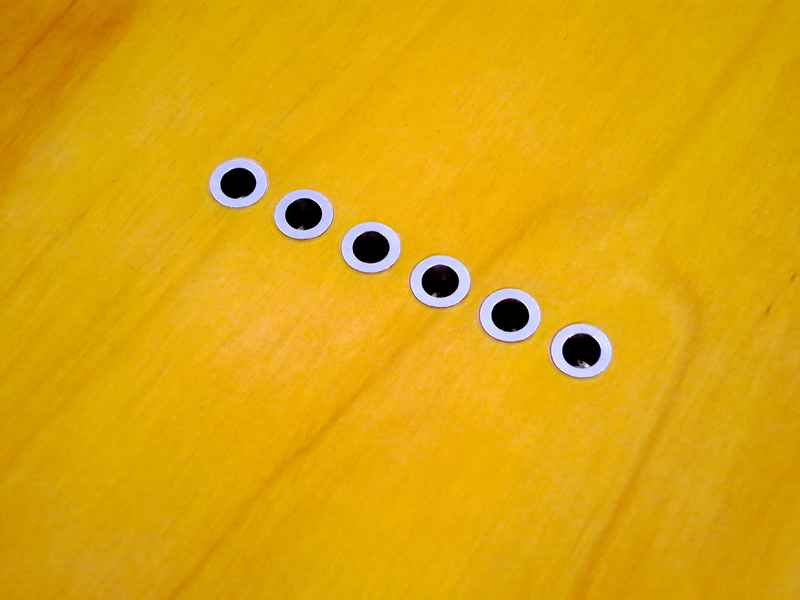 The polepieces aren’t magnets, but rather soft steel rods, which are in physical contact to a ceramic bar magnet (or sometimes two magnets) stuck to the bottom of each pickup. When ceramic pickups first appeared on budget guitars in the Nineties, their sound was admittedly often very spiky, brittle and sharp. This gave ceramic singlecoils a bad name, which wasn’t all that undeserved. 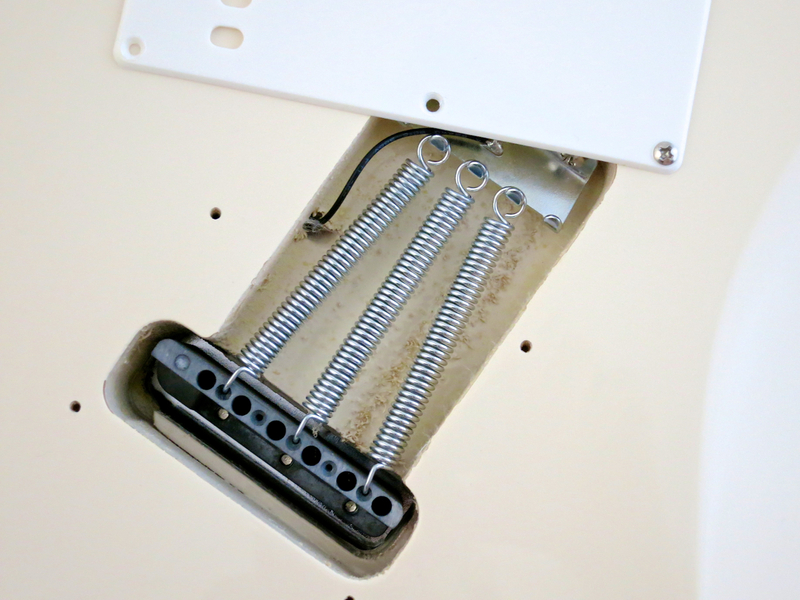 But that was then, and ceramic pickups have been improved drastically since. 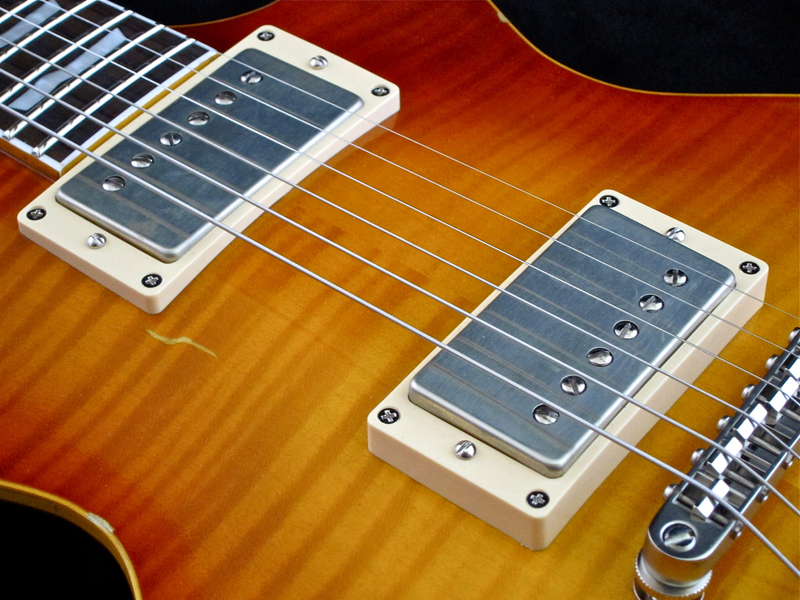 Despite this, there’s still quite a lot of prejudice against this type of guitar pickup. 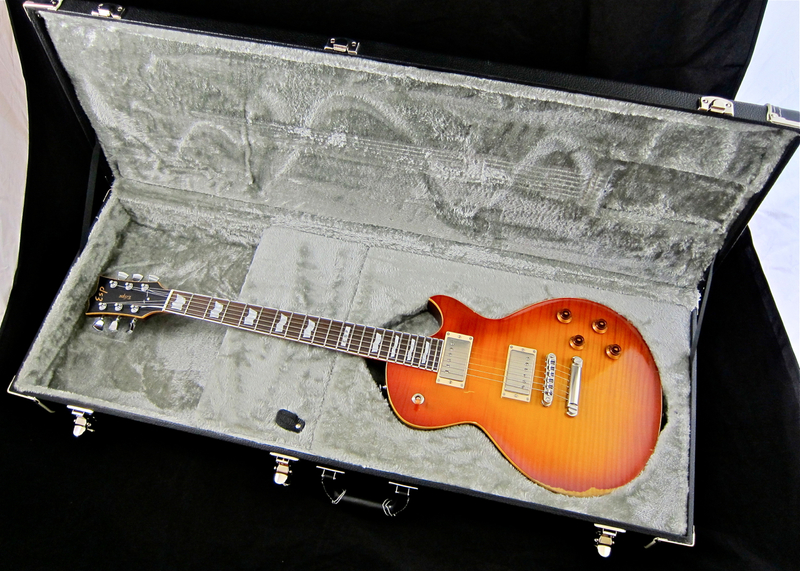 In the case of these Tokai Classic instruments, I’d suggest you approach their pickups with an open heart and open ears – you might be in for a positive surprise! The Classic series features electronic parts of inexpensive, but very decent quality. All the switches and controls work fine, and without any hiccups. 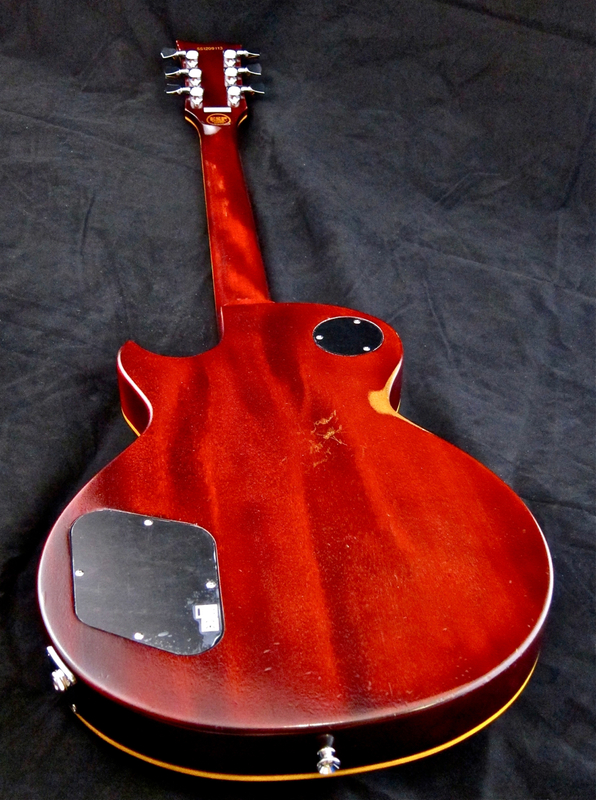 As you can easily see from this picture, the workmanship is very clean in the Classic TE. The rout for the Classic JB’s component cavity wasn’t quite as clean on our review sample. 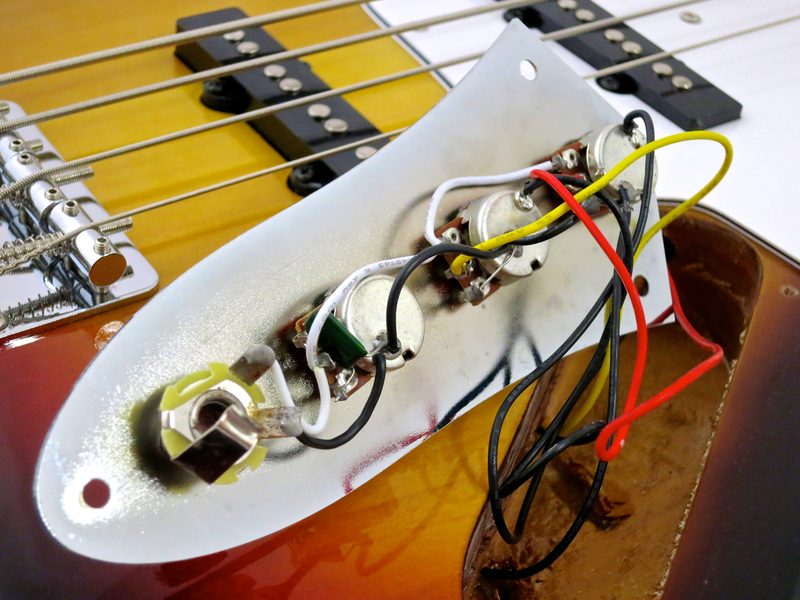 Luckily, this has no bearing whatsoever on the functionality of this bass guitar. 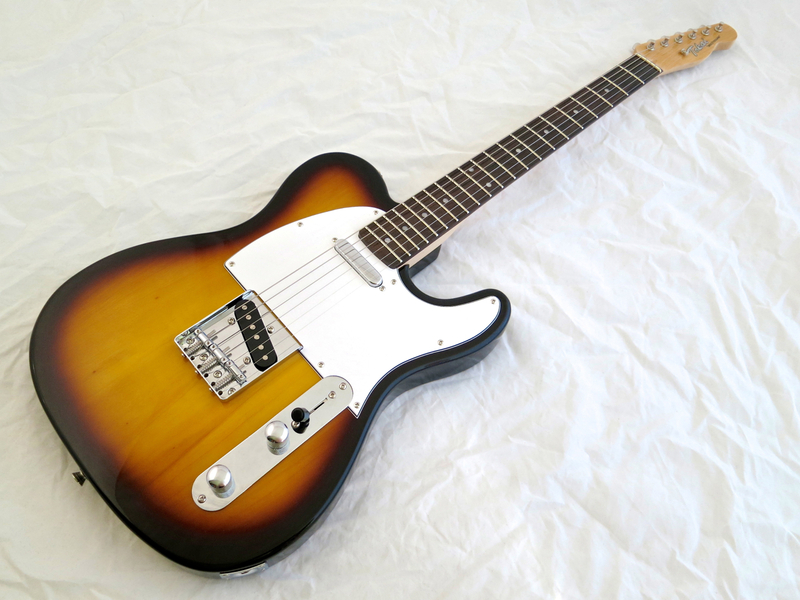 Tokai’s Classic TE is a very nice, well-playing Tele-style electric guitar. 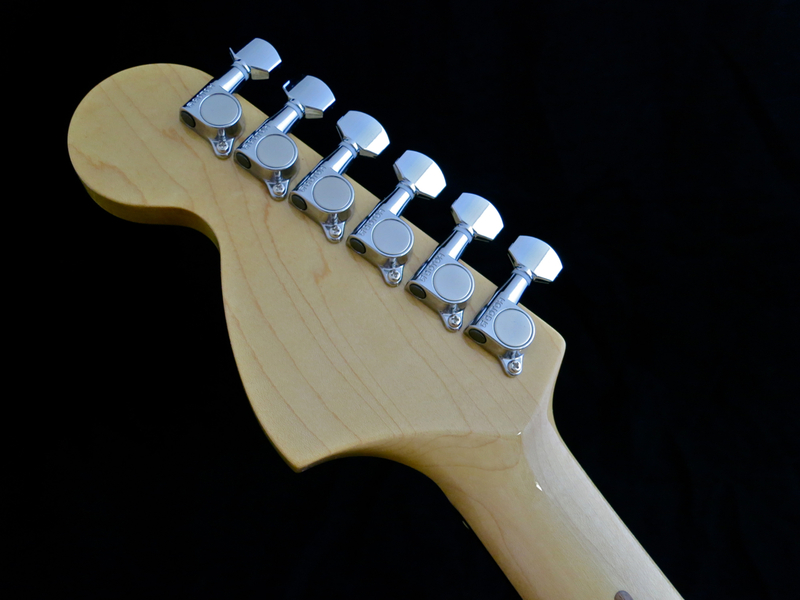 Quite often, you will find uninspiring, flat and generic neck profiles on instruments in this price bracket. The Classic TE is quite an exception, as it sports a comfortable, well-rounded and chunky neck, that still manages to stay on the right side of ”fat”. The fretwork is really great on our review sample. Combined with the bigger frets and flatter fretboard radius, this results in a slinky and bend-friendly playing feel. 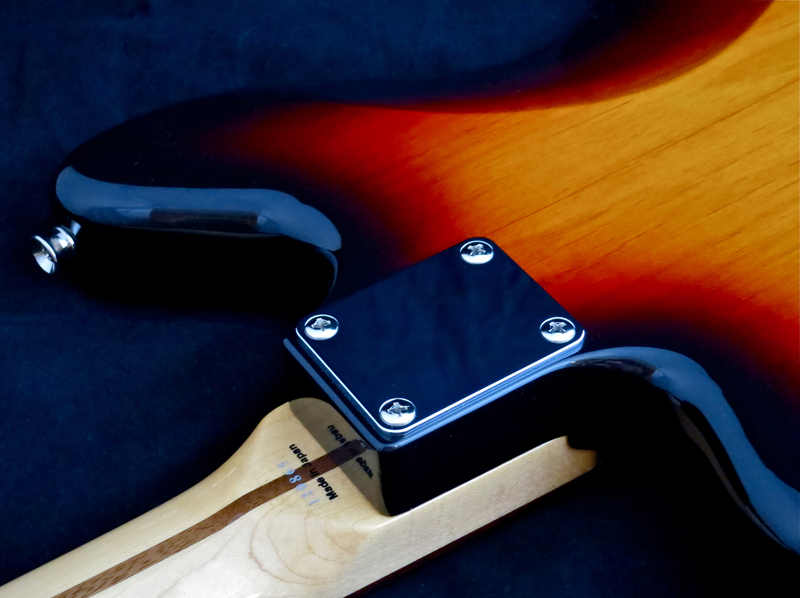 The neck pickup is warm and round, but never sounds boring or one-dimensional. 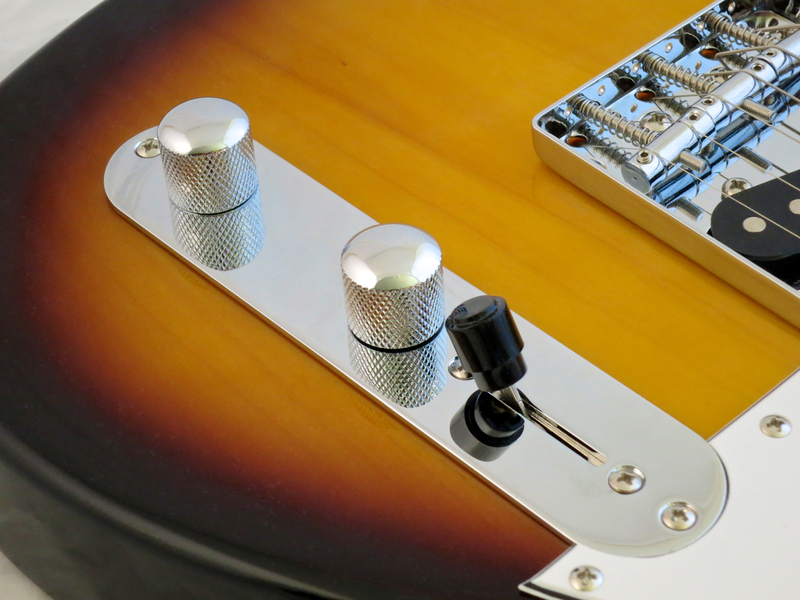 The middle position of the switch will give you a cool, funky rhythm tone. 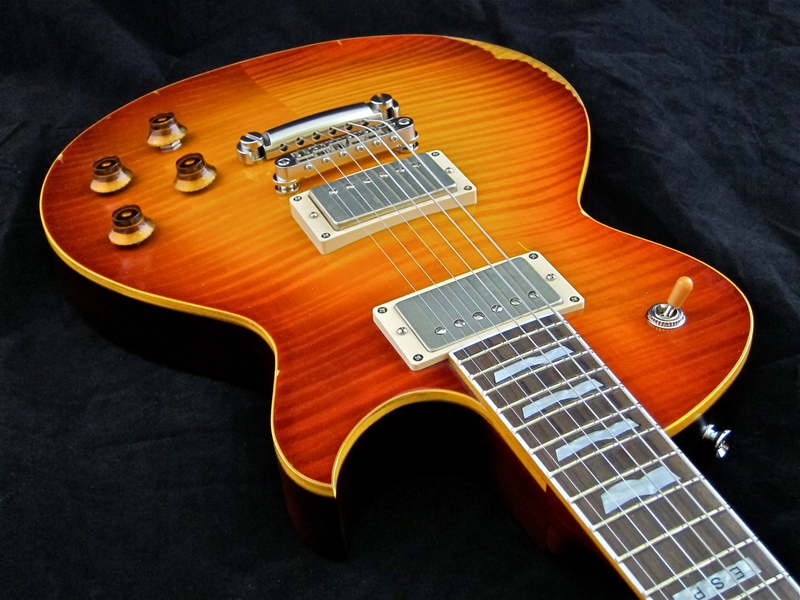 The bridge pickup on its own offers enough twang for Country playing, and enough whack for the Classic Rock crowd. 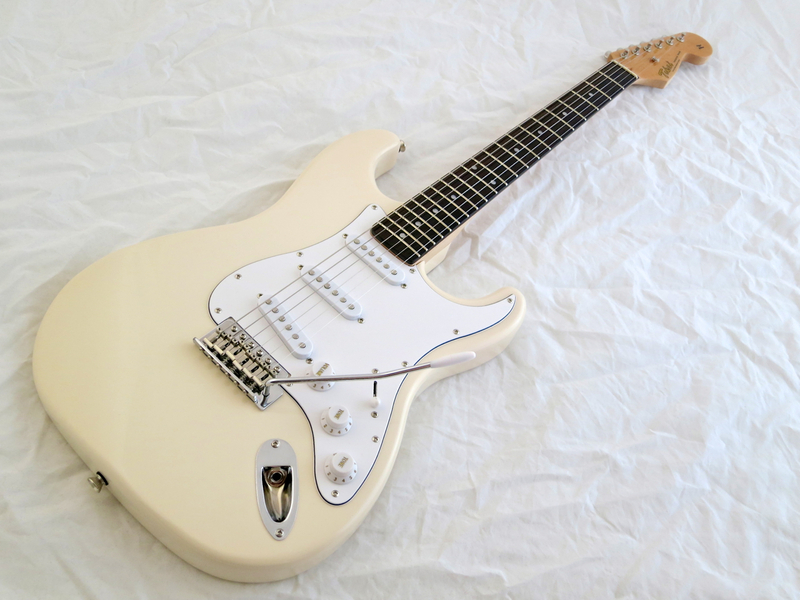 I’d never have thought an electric guitar costing only 249 € could be as utterly inspiring as this Tokai Classic ST! 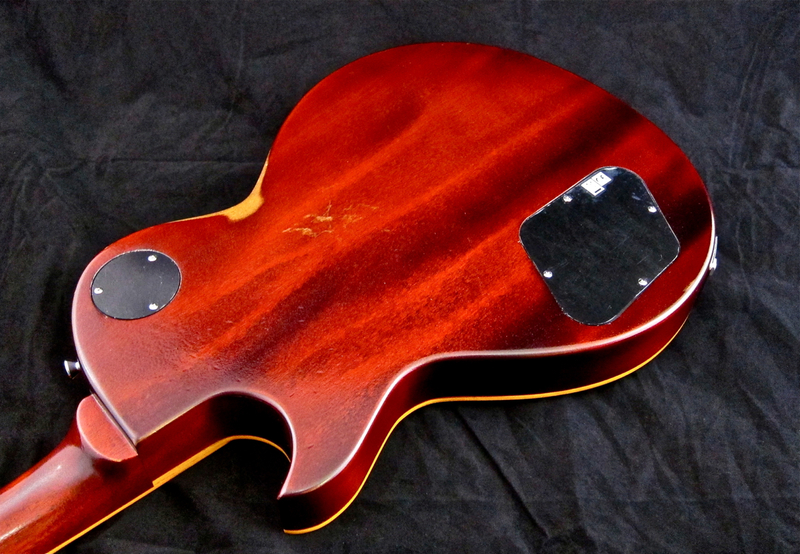 The neck feels great with its oval C-profile. The fretwork and setup make this a real player’s guitar. The vibrato works well in a vintage-style way, and the ST’s acoustic tone is woody and dynamic. The ceramic pickups on the Tokai Classic ST are a bit hotter than the alnicos on my 50s-style Fender Stratocaster reissue. They also have a bit more sizzle and bite, but in a good way, making this more of a ”Jimi Hendrix” than a ”Buddy Holly” guitar. 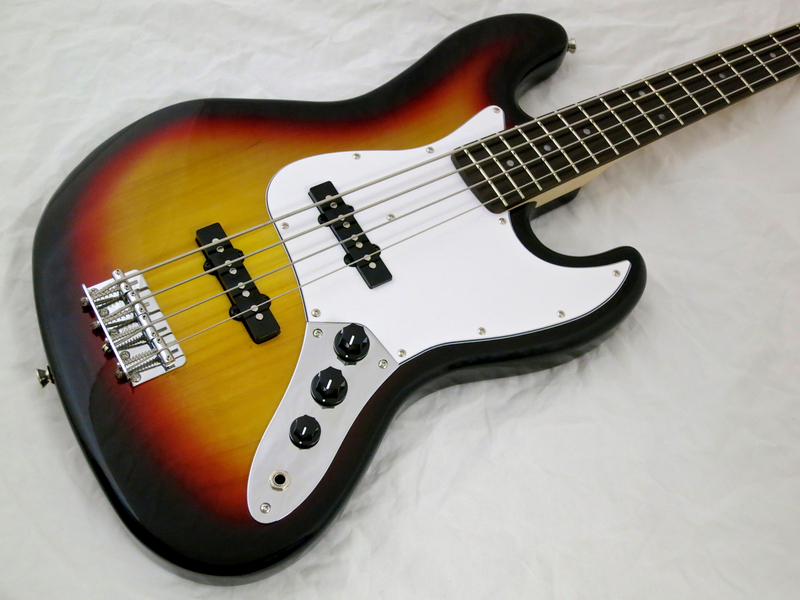 Tokai’s Classic JB truly offers a lot of bass in a very pocket-friendly package. 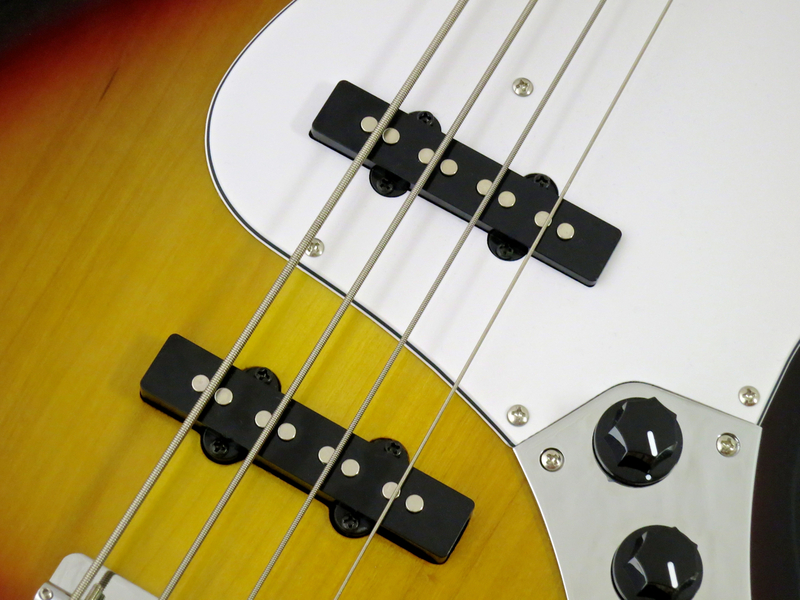 There’s the slender, distinctly tapered neck profile, the comfortable balance, and the wide variety (for a passive bass) of different sounds. 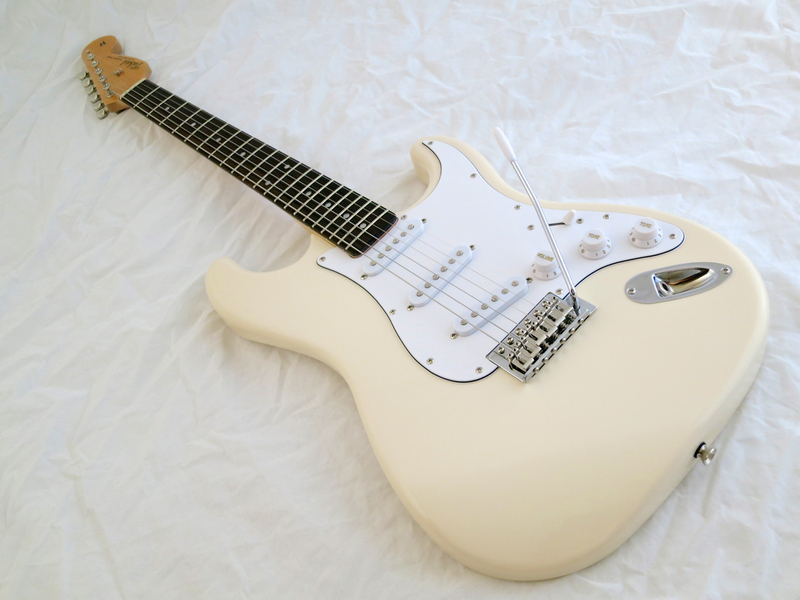 Tokai’s Classic Series may well prove to set a new standard for vintage-style instruments in this price range. The three reviewed guitars were well-made, well-playing instruments, and their sound was inspiring. While the Classic series is aimed mainly at beginners, I wouldn’t be surprised if some of the instruments crept up on pub or club stages! 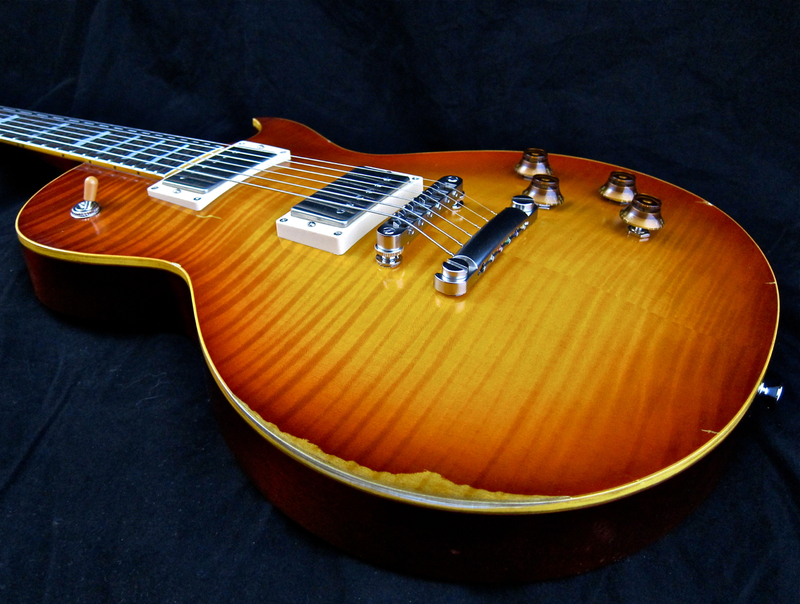 Are you looking for something off the beaten path of Strat- and Les Paul-clones? 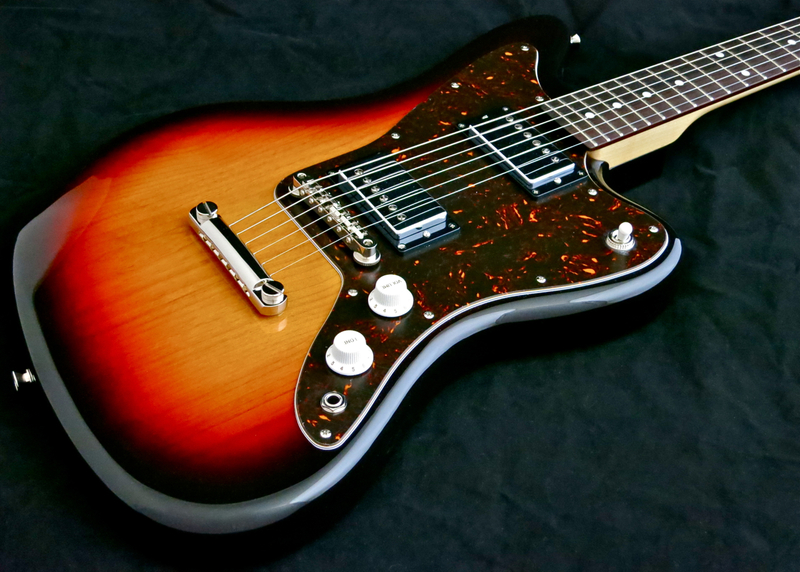 One interesting guitar might be the Tokai AJG-88 – an homage to the Fender Jazzmaster, factory-modded for the modern player. 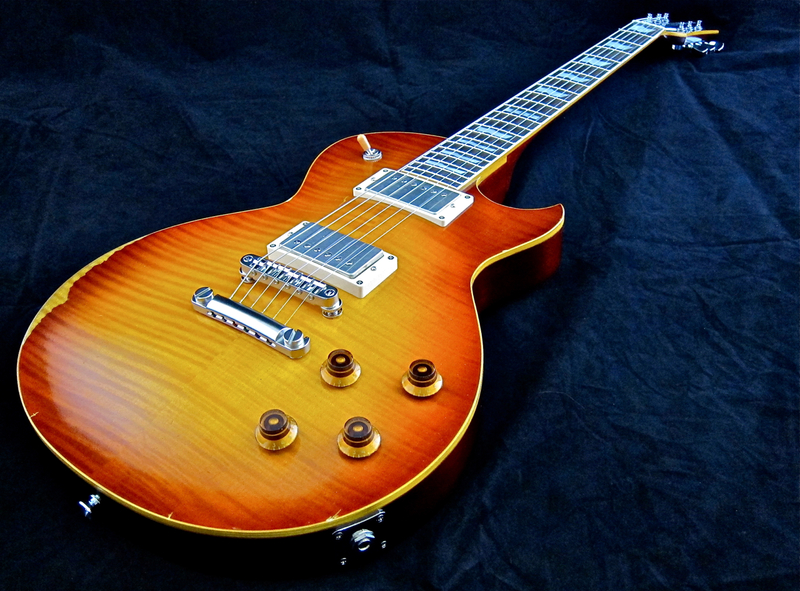 The Tokai AJG-88 (current price in Finland: 1,099 €) is a bolt-on-neck instrument with a long scale. We find a one-piece maple neck fastened to a streamlined alder body, crafted from three side-by-side pieces. 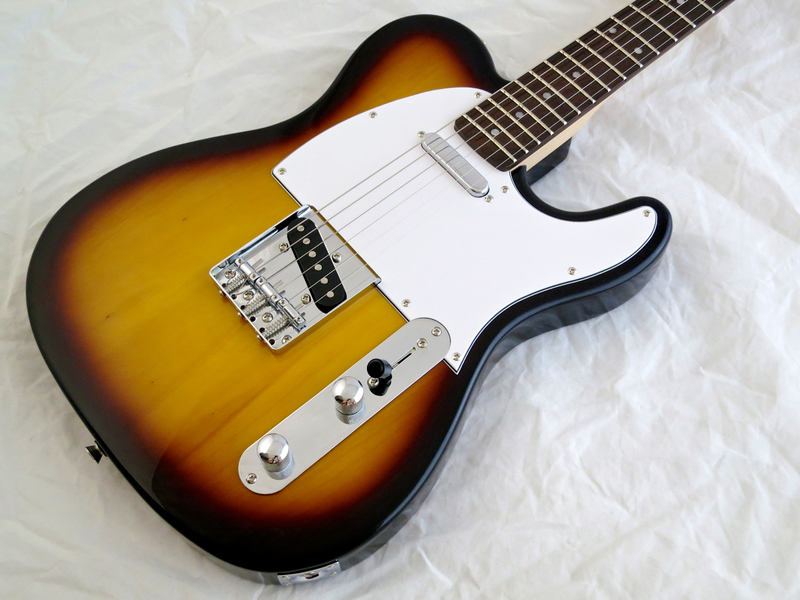 The Tokai comes in an all-gloss finish: The neck has been sprayed with clear lacquer, with the body showing off a sumptuous three-tone sunburst. One welcome nod to the 21st century is the AJG-88’s truss rod access, which has been moved from the traditional body-facing end of the neck up to the headstock for easy accessibility. 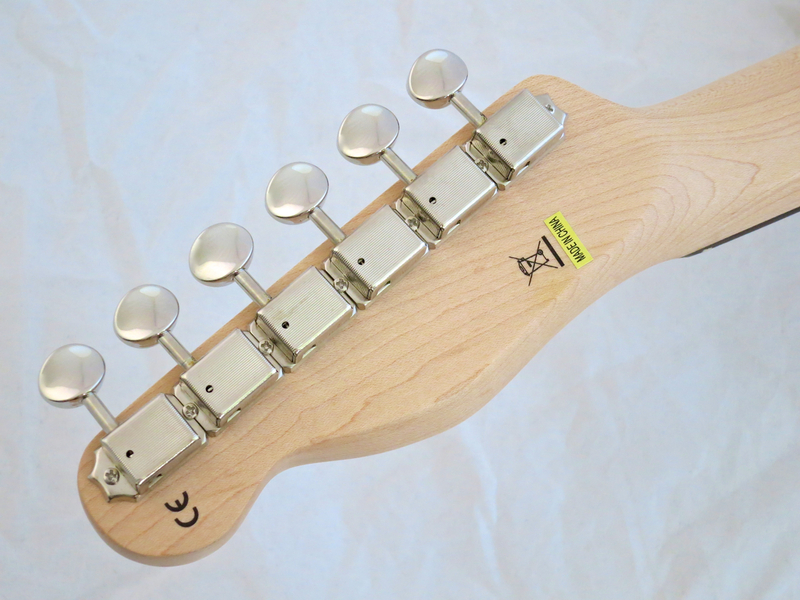 The AJG-88 comes equipped with a nice set of sealed Gotoh tuners. 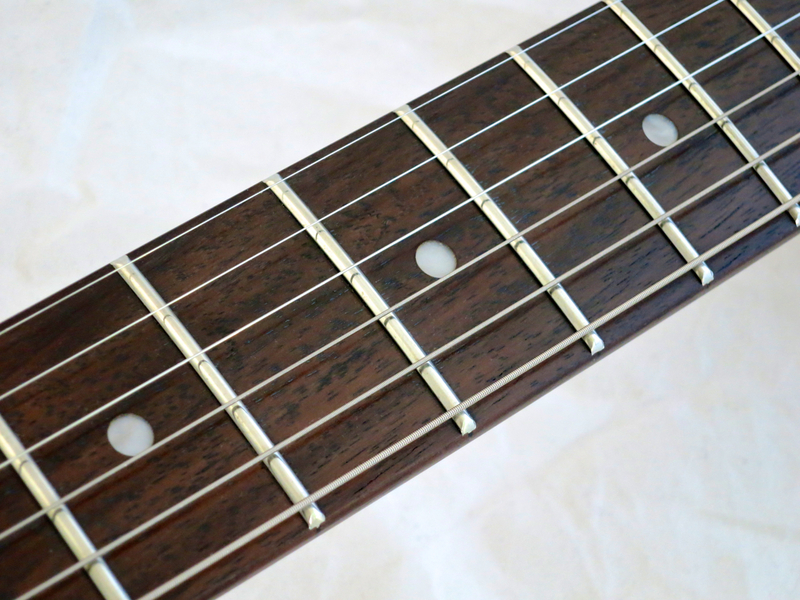 The chocolate-coloured rosewood fingerboard sports 22 medium-jumbo frets, which have been expertly seated and well polished. 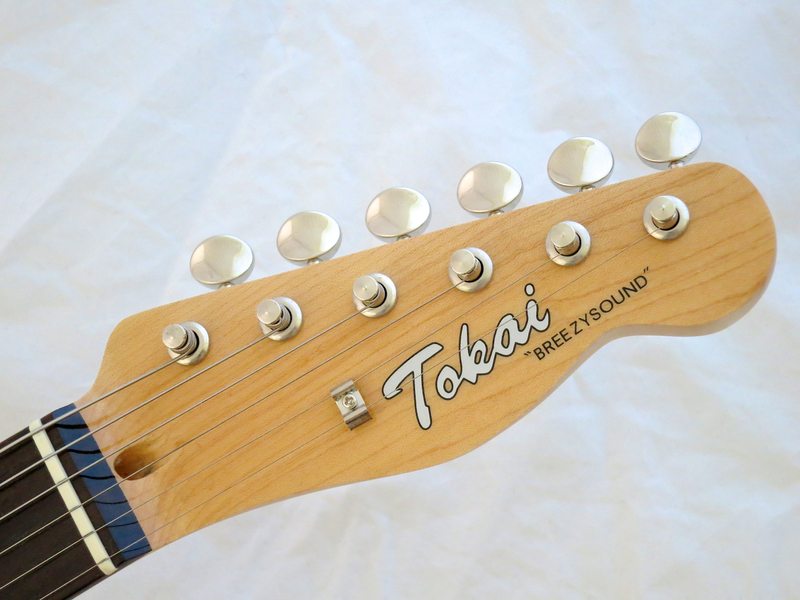 That’s full full marks for Tokai’s fretwork! 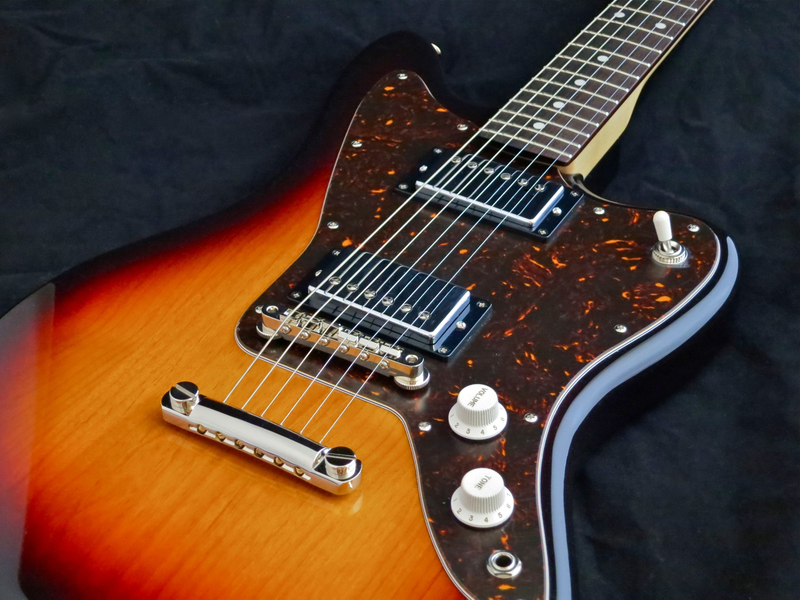 Up to this point Tokai’s AJG-88 may have looked like a full-on Jazzmaster-copy, but the pickups, wiring and the choice of bridge make quite clear that this Tokai has its own, more contemporary, thing going. 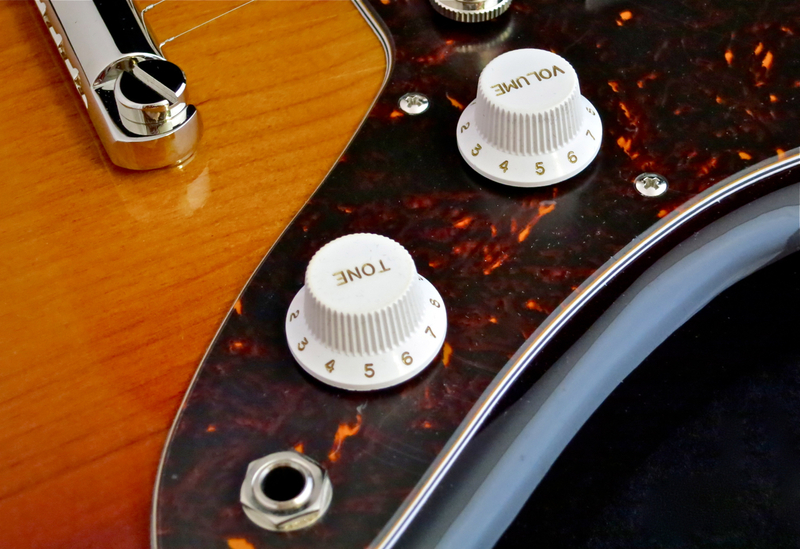 Original Jazzmasters feature a front-mounted vibrato paired with a rocking bridge, designed to work correctly with the fat string gauges of yore (.012 or bigger). 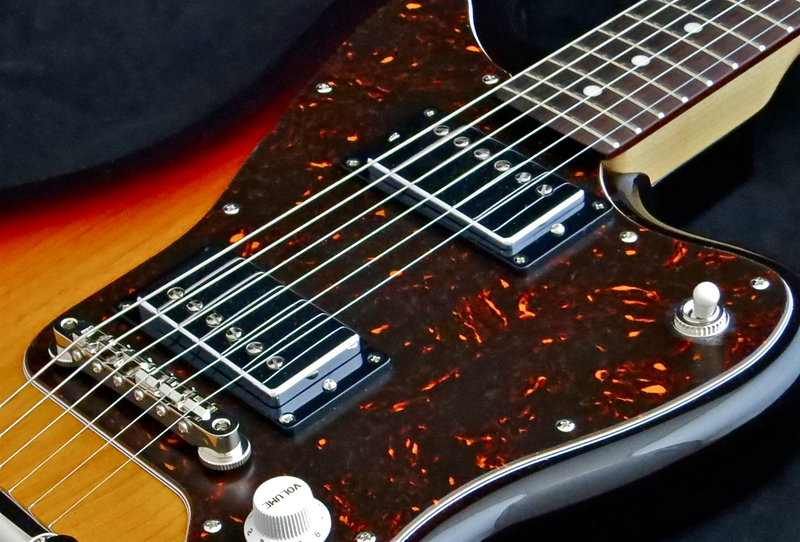 Putting a .009-set on a vintage-type Jazzmaster will lead to all sorts of problems, from rattling bridge saddles to strings not staying in their respective grooves – not good for sustain or tone. 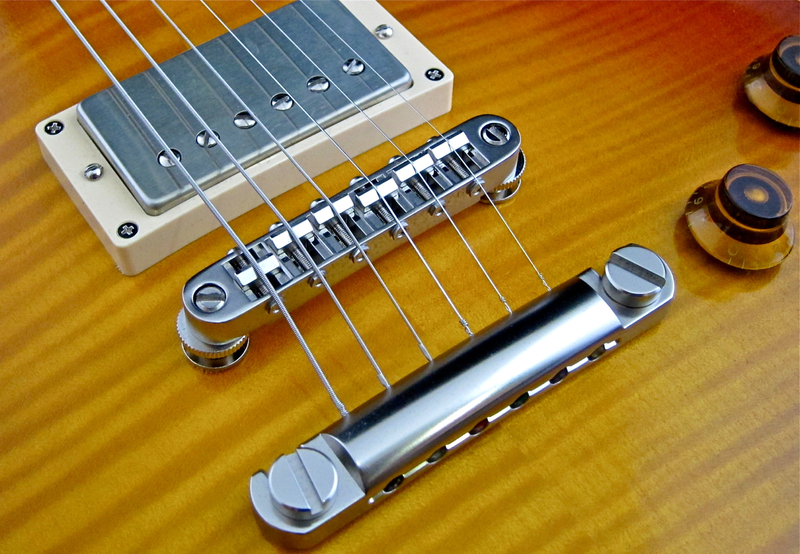 On the Tokai AJG-88 these problems won’t occur, because this model is equipped with a tune-o-matic and stopbar combination (made by Gotoh). 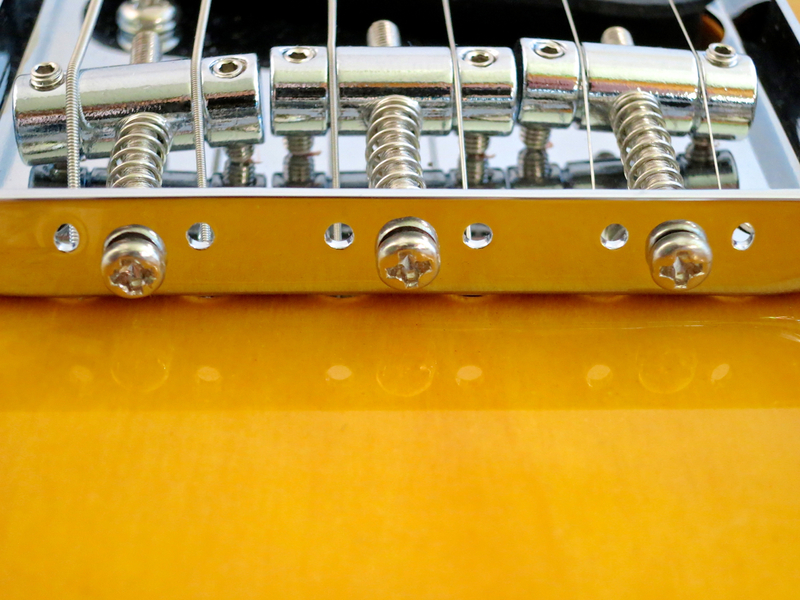 As a result the tuning is rock solid regardless of string gauges or tuning preferences. 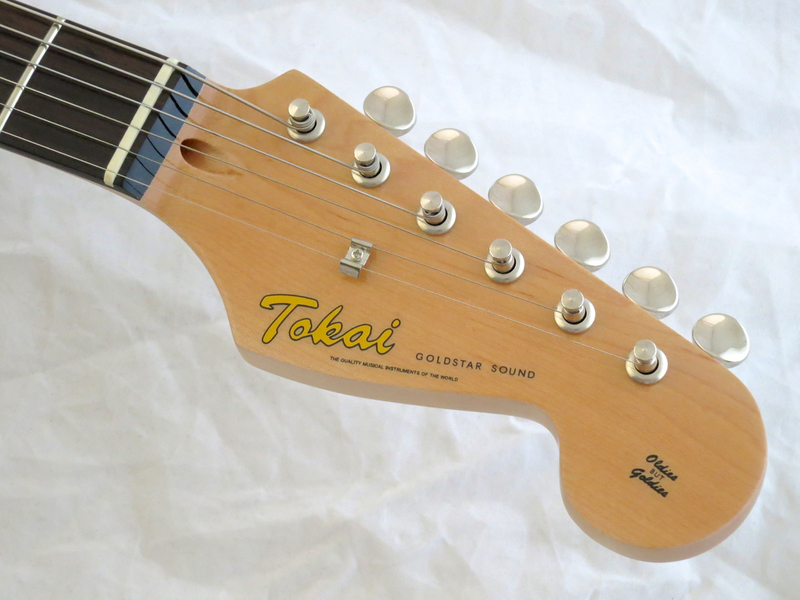 Tuning down for Metal isn’t a problem for the Tokai. 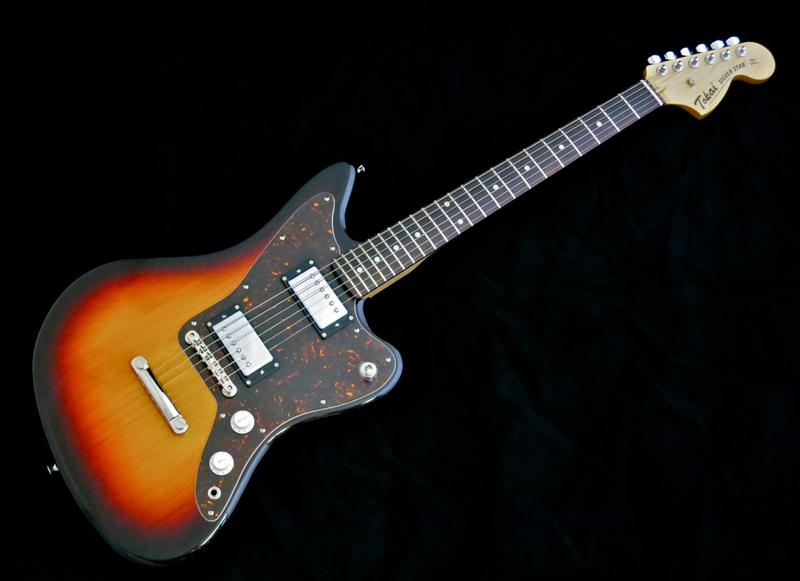 Both the original Jazzmaster, as well as its younger sister the Jaguar, were equipped with singlecoil pickups and rather complicated electronics with a separate rhythm-circuit for their neck pickup. 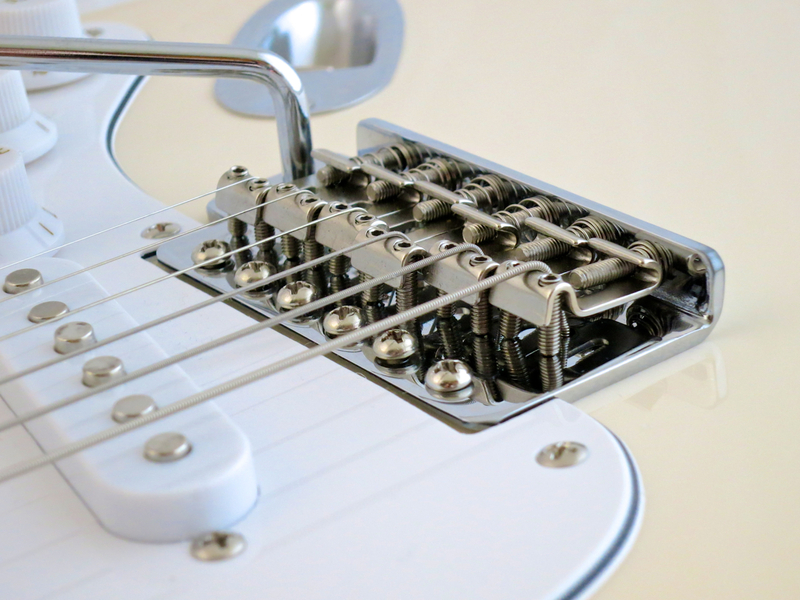 Instead of a dizzying array of knobs and switches, Tokai offer you two genuine Seymour Duncan humbuckers. 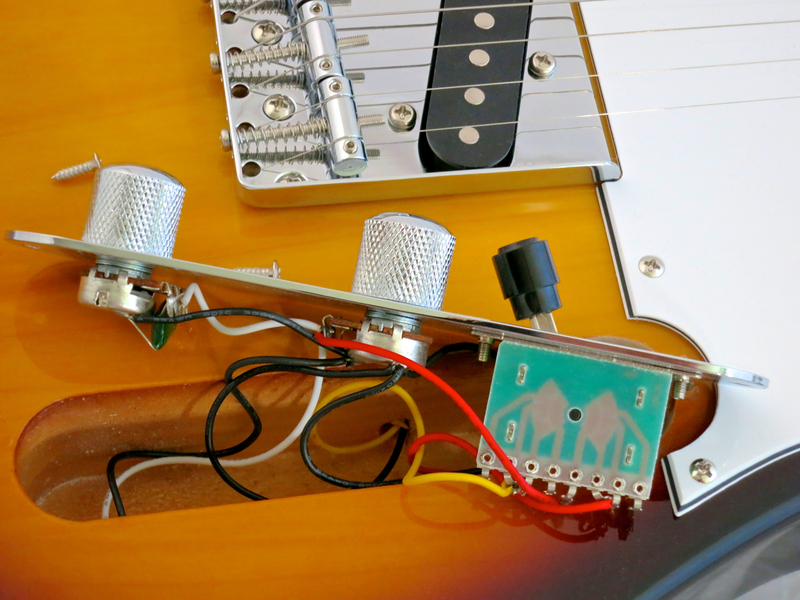 The neck pickup is their famous Jazz-model (SH-2N), with the slightly chunkier-than-vintage Jeff Beck-model (SH-4) placed next to the bridge. I can only recommed giving the Tokai AJG-88 a spin. 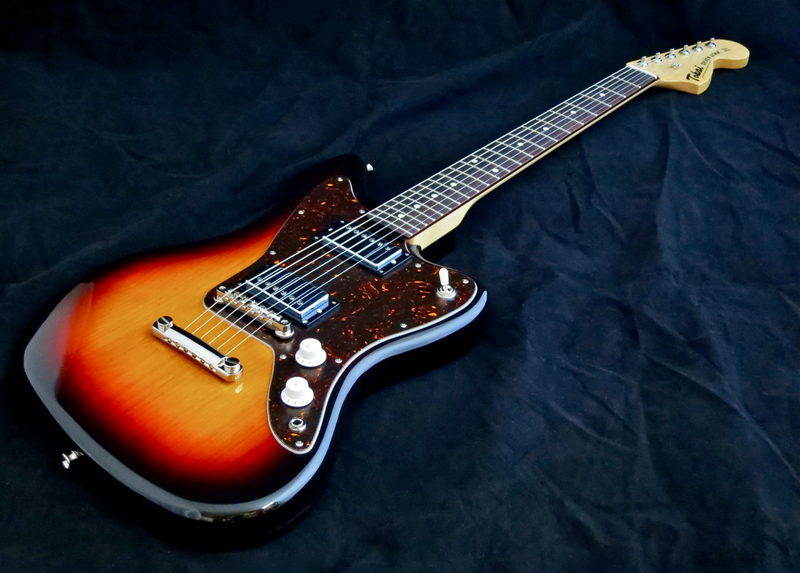 If you haven’t tried a Jazzmaster-style guitar before, you’ll be surprised at the well-balanced ergonomics that this large-bodied classic holds in store. The feel is different – in a very good way – and the AJG-88 is easy to hold, both standing up and sitting down. The neck profile is a nice, medium-thickness vintage-style ”D”. 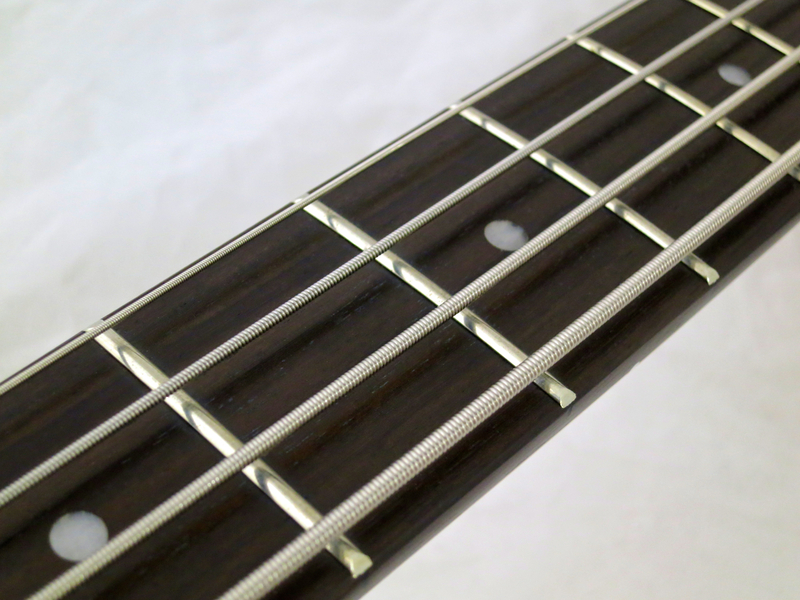 Thanks to the excellent fretwork our test sample came with a really low action (low E: 1.6 mm, high e: 1.0 mm), yet was free from fret buzz. 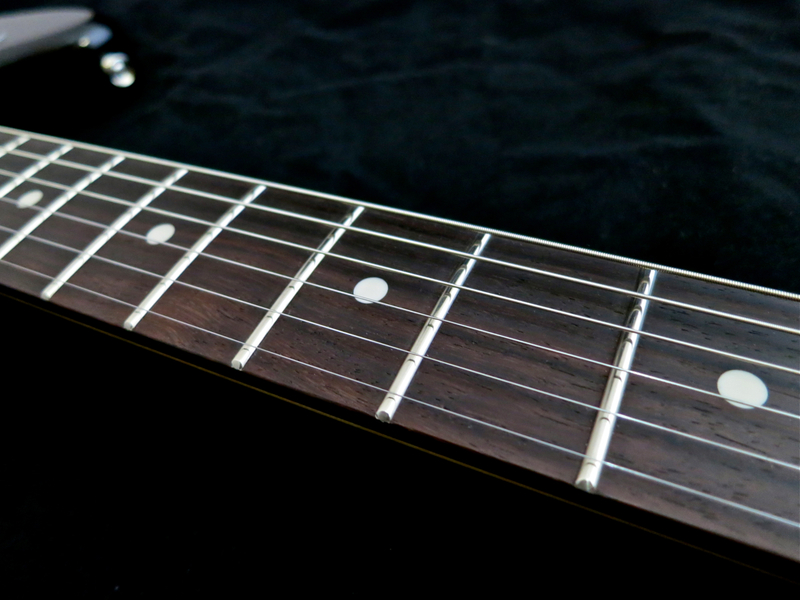 Acoustically Tokai’s AJG-88 sounds open with a tight bottom end, as well as a charming, slightly hollow mid-range. 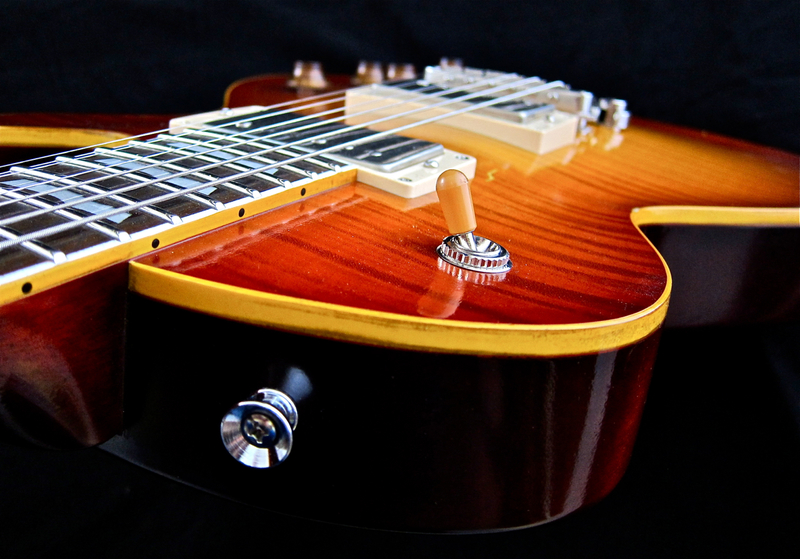 Played with a clean amp the Tokai’s neck pickup gives you warm and full tones with a nicely rounded top end. 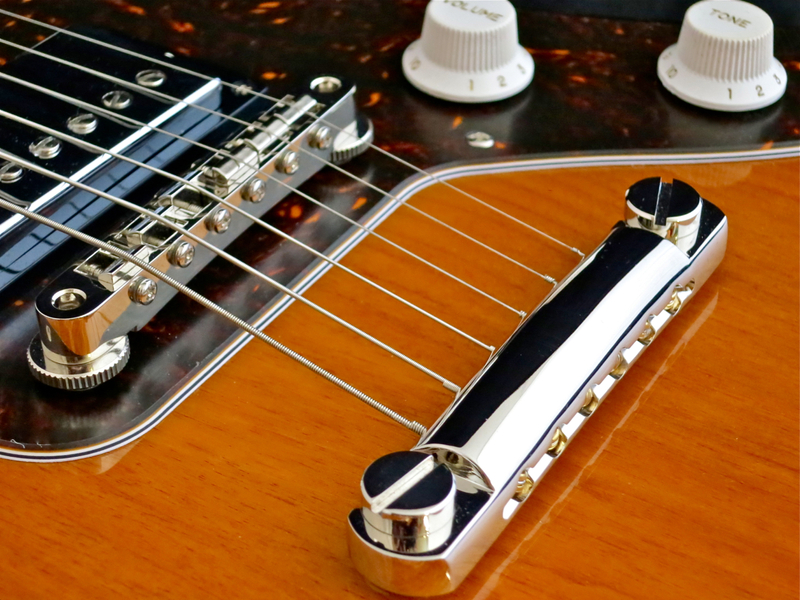 As is the case with most two-humbucker guitars, putting the AJG-88’s toggle in the centre position will result in the most useable clean rhythm tones. The sound is open and airy, with a nice helping of plectrum attack. 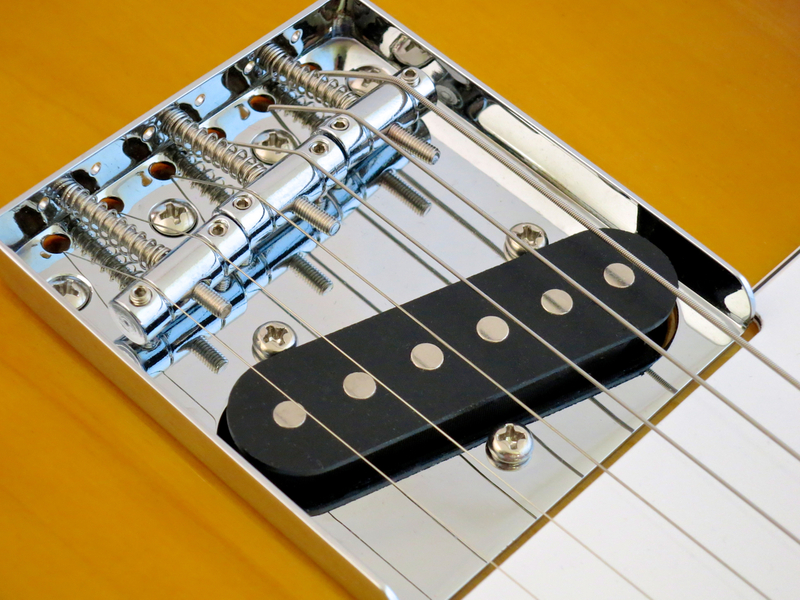 The bridge pickup on its own displays a chunky mid-range colour – quite useable for clean tones, but, naturally, not as biting and wiry as a Fender-type singlecoil. 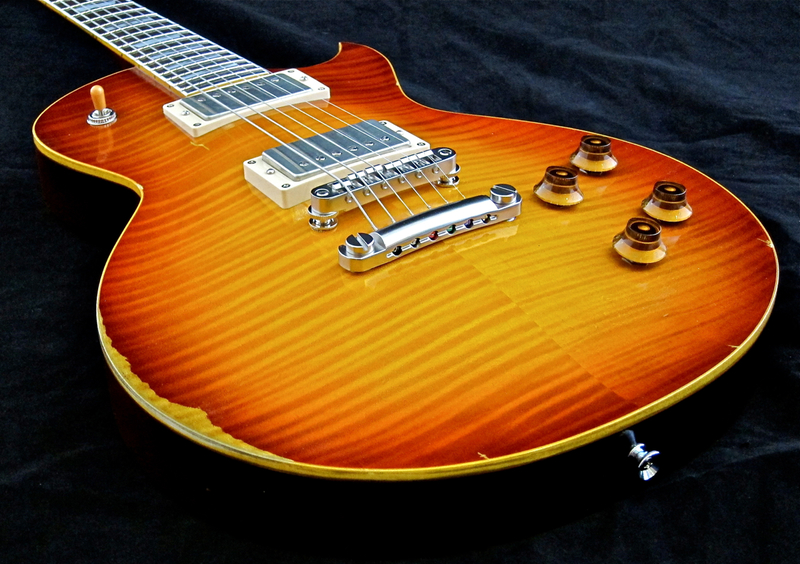 Tokai’s AJG-88 is a classy quality-guitar from Japan. 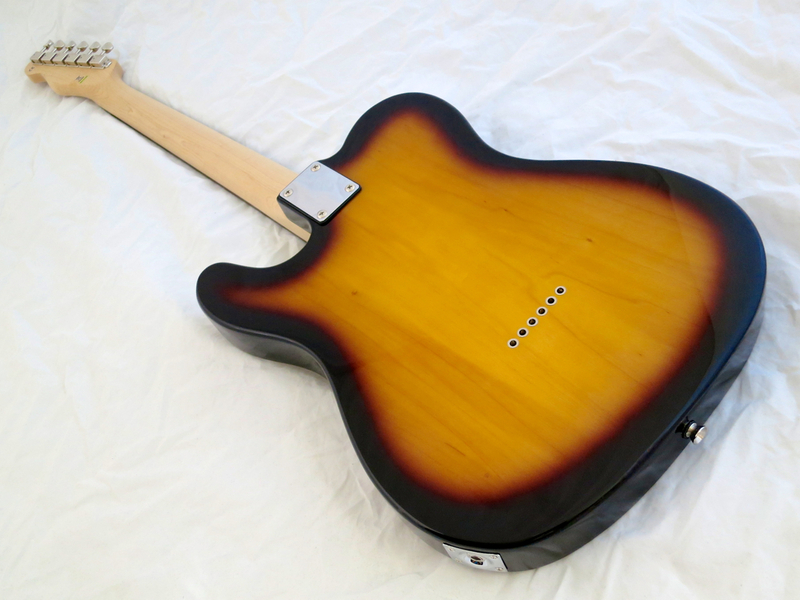 I found it to be a very intriguing and well-executed mix of Fenderish looks and playability, coupled with Gibson-style tones, and offered at a fair price. Etsitkö mielenkiintoista vaihtoehtoa ainaisille Stratocaster- ja Les Paul -johdannaisille? Ratkaisu pulmaasi voisi hyvinkin olla Tokai AJG-88 – firman valmiiksi modattu kunnianosoitus Fender Jazzmasterille. Tokai AJG-88 (1.099 €) on pitkällä mensuurilla varustettu ruuvikaulainen sähkökitara. Soitin on rakennettu vaahterakaulasta, sekä sulavanlinjaisesta, kolmesta vierekkäisestä palasta kootusta rungosta. Sekä kaulaa että runkoa on viimeistelty vintage-tyylisesti kiiltävällä lakalla: kaulaan käytetään kirkaslakkaa, kun taas runko on saanut ylleen erittäin kauniin kolmivärisen liukuvärityksen. Yksi selvä parannus esikuvaansa nähden on Tokain nykyaikainen kaularauta, jota voi mukavasti säätää suoraan lavan puolelta. AJG-88 on varustettu Gotohin laatuosilla – virittimet ovat nykyaikaisia suljettuja malleja. Palisanteriotelautaan on asennettu 22 medium jumbo -nauhaa. Tokain nauhatyö on ensiluokkaista. AJG-88:ssa on käytössä perinteinen ruuviliitos, joka on toteutettu japanilaisella tarkkuudella. Tähän asti Tokai AJG-88 olisi voinut kuvailla suoraksi Jazzmaster-kopioksi, mutta soittimen elektroniikka, mikrofonivarustus, sekä tallaratkaisu tekevät selväksi, että testikitara menee paljon nykyaikaisempaan suuntaan. Alkuperäisessä Jazzmasterissa on edestä asennettu vibrato sekä keinuva talla, joka toimii oikeastaan vain vintage-tyylisellä kielisatsilla (012 tai isompi) tyydyttävästi. Nykysetillä Jazzmaster-tallan tallapalat usein liikkuvat ja sirisevät, kielet tahtovat hypätä ulos uristaan, ja seurauksena sustain kärsii. Tokai AJG-88 -kitaralla sellaiset ongelmat eivät pääse edes syntymään, koska soitin on varustettu vankalla Gotoh-tallalla ja -kieltenpitimellä. Viritys pitää ja sustainea riittää tämän ansiosta, riippumatta musiikkigenrestä tai soittotyylistä. Gotohin laadukas parivaljakko kestää mukisematta myös matalat Metal-viritykset. Jazzmasterilla oli P90-tyylisiä, häiriöherkkiä mikrofoneja, ja sen Jaguar-sisarmallilla parannettuja kapeita yksikelaisia. Molemmissa malleissa oli monimutkainen kytkentä erillisine säädinosastoineen vain kaulamikrofonille. 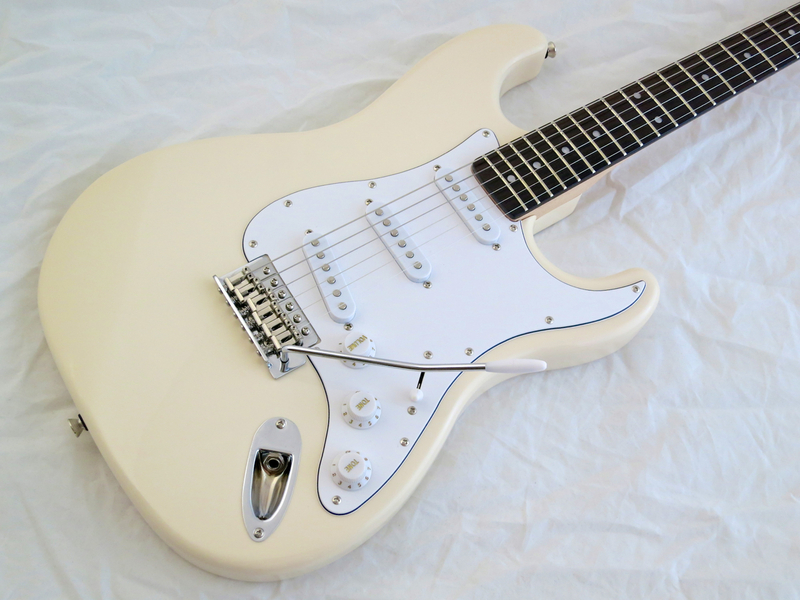 Epäsuosittujen alkuperäisten ratkaisujen sijaan, Tokai tarjoaa kaksi aitoa Seymour Duncan -humbuckeria – kaulassa Jazz-malli (SH-2N) ja tallan vieressä vintagea tuhdimpaa Jeff Beck -mikrofoni (SH-4). Elektroniikka on virtaviivaistettu niin, että AJG-88:ssä on tarjolla kolmiasentoinen vipukytkin, sekä master volume ja tone -säätimet. Jos et ole koskaan kokeillut Jazzmaster-tyylistä kitaraa, voin vain suositella Tokai AJG-88:n kokeilemista. Isokokoisen rungon ja erilaisen geometriansa ansiosta soittokokemus on positiivisella tavalla hieman erilainen. Virtaviivaista, 1950-luvun autoista vaikutteita saanutta soitinta on joka tapauksessa erittäin mukava soittaa sekä istuen että seisten. Kaulaprofiiliksi on valittu mukava, vintage-tyylinen ja keskipaksu ”D”. Erinomaisen nauhatyön ansiosta kielet on voitu säätää erittäin matalaksi (matala E: 1,6 mm, korkea e: 1,0 mm), ilman että kielet rämisisivät häiritsevästi akustisessa soitossa. Tokai AJG-88:n akustinen ääni on avoin, ja sillä on tiukka bassorekisteri, sekä hyvin viehättävä, hieman ontto keskirekisteri. Puhtaaseen vahvstinkanavaan soitettuna saa Tokain kaulamikrofonilta kauniita täyteläisiä soundeja, joissa on kuitenkin myös riittävästi diskantin tuomaa hohtoa. Kuten monissa kahdella kaksikelaisilla varustetuissa kitaroissa, myös AJG-88:ssa vipukytkimen keskiasennosta saa soittimen parhaita puhtaita. Keskiasennossa sointi on avoin, ja sillä on kauniisti selkeyttä lisäävää atakkia. Vintagea hieman vahvempi tallahumbuckeri tarjoaa tehonsa lisäksi myös selvästi tiheämpää keskirekisteriä – enemmän kuin käyttökelpoinen clean-soundi, siis, vaikka se ei tarjoakaan F-tyylistä twängiä tai purevuutta. Tämä Tokai todella tykkää säröstä, ja soittimen humbuckerit tarjoavat erittäin maukkaita Blues-, Rock- ja Metal-soundeja. Tällaista voimaa ja sustainea on tavallisesti turha hakea perinne-Jazzmasterista, mutta AJG-88 on heti valmis kovaan menoon. Tokai AJG-88 on todella hieno laatukitara Japanista. Se on mielestäni erittäin toimiva sekoitus Fender-tyylisestä ulkonäöstä (ja soitettavuudesta) ja Gibson-tyylisestä soundista, ja se tarjoaa roimasti vastinetta rahelle. Esivanhennettu kitara – joidenkin mielestä se on typerin keksintö ikinä, kun taas toisten mielestä naarmuuntuneissa kitaroissa on oma charminsa. Yksi asia on kuitenkin selvä: relic-ilmiö on tullut jäädäkseen! Tällä kertaa testissä kävi ESP:n näkemys uusvanhasta kitarasta – Eclipse II FM FT Distressed. ESP Eclipse II Distressed (1.889 €) on laadukas japanilainen sähkökitara, joka on esikulutettu näyttämään yli 50-vuotiaalta, paljon käytetyltä soittimelta. Hyvin realistinen tuntuma on saatu aikaiseksi käyttämällä kolhujen, naarmujen ja lommojen lisäksi myös sellaista lakkausta, joka näyttää hieman ajan jälkeen kuluneelta ja puun syykuvioihin uponneelta. Myös Eclipse II Distressed -rungon takapuoli on täynnä pieniä naarmuja ja painaumia, mutta kitaran kaula on jätetty lähes kokonaan siistiksi. Runkoon ja kaulaan käytetty mahonki näyttää herkullisen eloiselta. ESP ei kuitenkaan vetänyt relikoinnilla överiksi, eikä viimeistelyssä ole keinotekoisia halkeamia. Gotohin kromatut virittimet näyttävät hyvin perinteisiltä, mutta kyseessä ovat nykyaikaiset lukkovirittimet. Eclipsen kaunista palisanteriotelauta ja sen jumbokokoiset nauhat on jätetty tarkoituksella neitseelliseksi: uudella kitaralla on uuden kitaran tatsi ja soitettavuus, hyvä niin! Kaula on liitetty runkoon perinteisesti liimaliitoksella. Tässä kuvassa näkyvät hyvin relikoidun Eclipse II Distressed -kitaran kulumat, naarmut ja viimeistelyn epätasainen pinta. Distressed-mallin mikrofonit tulevat Seymour Duncanilta: kaulamikrofoniksi on valittu ’59-humbuckeri, kun taas tallan viereen on asennettu firman JB-malli. Mikkien harjatut suojakuoret tukevat omalta osaltaan vanhan soittimen vaikutelmaa. Kaulan tone-potikkaan on lisätty push/push-kytkin, jolla saa molemmat mikrofonit puolitettua. Elektroniikkalokerosta löytyy laadukkaita osia, siistiä juotostyötä, sekä huolellista häiriösuojausta grafiittimaalilla ja alumiinilla vuoratulla kannella. Samoin kuin Eclipse II:n virittimet myös tune-o-matic-tyylinen talla ja palkkimainen kieltenpidin ovat laatuosia Gotohin valikoimasta. Erittäin hieno kova laukku kuuluu ESP:n hintaan. Monet valittavat LP-tyylisten kitaroiden paino-ongelmista, jotka tekevät kitaran soitosta epämukavan. Näille soittajille voin vain suosittaa ESP Eclipse II Distressed -mallin koeajoa, koska ainakin testiyksilö on uskomattoman kevyt! En tiedä johtuuko tämä ominaisuus huolellisesta puuvalinnasta vai käytetäänkö myös ESP:n tehtaalla Gibsonilta tuttua ”Emmental-menetelmää”, jossa porataan rungon mahonkiin ensin isokokoisia reikiä, ennen kuin vaahterakansi liimataan paikkoilleen. Oli miten oli – tämä ESP on kevyin soittamani LP-tyylinen kitara ikinä! Kaulaprofiili on erittäin mukavantuntuinen keskikokoinen ”D”, joka on hyvinkin lähellä Gibson-kitaroista tuttua 60s-kaulaa. Hiukan epätasainen ”vanhennettu” lakka tuntuu liukkaalta ja luonnolliselta. Esimerkkillisen nauhatyön ja otelaudan loivan kaarevuuden ansiosta, soittotatsi on nopea ja vaivaton. En tiedä johtuuko tämä relikoinnista tai muista seikkoista, mutta ESP Eclipse II Distressed tuntuu suorastaan elävältä. Kitara resonoi vapaasti ja sen loistavassa akustisessa äänessä löytyy sopivasti sekä ryhdikkyyttä, että lämpöä. Seymour Duncanin ’59/JB-kattaus on ESP Eclipse II:lle mahtava valinta. Mikrofonit ovat keskenään loistavassa tasapainossa, ja ne onnistuvat täydellisesti välittämään kitaran oman äänen uskollisesti eteenpäin vahvistimelle. Lisäksi humbuckerien puolitus yksikelaisiksi lisää tutuille humbucker-soundeille vielä hyvin hyödylliset kevyemmät ja kirkkaammat vaihtoehdot.